Rockaway in cooperation with Microsoft and Impact Hubs prepares a series of big hackathons. Software developers will have 24 hours to find solutions for interesting assignments from the fields of e-commerce, fin-tech or public transport. The best ones will be rewarded. Three hackathons will take place in the autumn. Teams of four to six people will have only 24 hours to prepare the best solution. “We are preparing a lot of very interesting assignments. We are definitely going to deal with things we perfectly know, and issues we have already been dealing with – i.e. ecommerce, fin-tech and public transport. Besides that, there will be a few new things which our partners – experts from Microsoft and other companies had to cope with, ” said Viktor Kustein, HR 2.0 in Rockaway. “There will be mentors from Rockaway portfolio companies, from start-ups, and also from partner companies such as Microsoft. The best teams will get valuable rewards, ” Kustein added. Participants will have a chance to try out work in Microsoft Azure where they will be able to build a functional solution, and at the same time, they will have the opportunity to discuss it with experienced mentors. ” Each participant will get $100 credit for Microsoft Azure, so that he can use everything it offers – from data analyses, virtual tools or IoT administration. It is not important which programming language the participants use,” says Milan Hrabovský, Director of Czech and Slovak Microsoft´s Developer Division. The series of hackathons will start with Kick-Off Meeting on 5th October at 7 p.m. in Rockaway offices at Kavci Hory. “We want to prepare the participants for everything they will deal with at weekend. Together, we will go through all advantages and potential difficulties of technologies we will work with, and we will also introduce details of individual assignments we will be dealing with during hackathons,” said Tomáš Strejček, Head of Development of E-commerce Holding and one of the mentors. 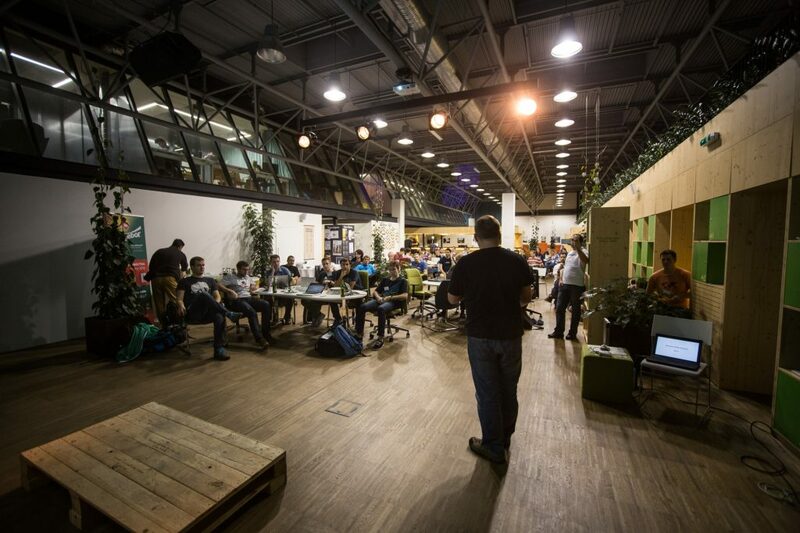 Hackathons will be hosted by Impact Hubs in Prague, Ostrava and Brno. “After the experience from last year, we did not hesitate at all. All hackathons had great atmosphere and we would like to contribute to the same result also this year, ” said Martina Bláhová from Impact Hub. Last year, there were about 100 competent software developers, and they managed to develop more than 20 functional applications. “We were told that before the event, some of them were a bit afraid that we would try to persuade them to go to our companies – but in the end, they were nicely surprised. The main reason why we organize hackathons is that such events move all software developers in the Czech Republic forward, and we believe that after some time, it will be beneficial for all,” Viktor Kustein said. The event is supported by Rockaway and its portfolio projects (e.g. Mall.cz and CZC, or start-ups such as Bileto and Finnology), and partners (e.g. Microsoft, Impact Hub, Big Shock, or Chotěboř brewery). First hackathon will take place in Prague from 14th to 15th October, it will be followed by Ostrava (11th – 12th November), and the series will finish in Brno (2nd – 3rd December). Token registration fee is 200 CZK. You can find more information on hackathon.rockawaycapital.com.